Dancing and Gliding Just for Fun! 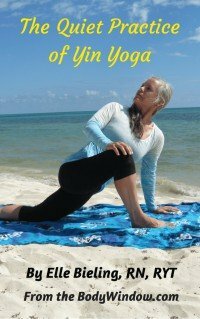 This article is about using gliding exercises on special discs as a way to find your inner dancer and release the emotions of your body-mind-soul. I hope to inspire you with this article and video to get off your seat and start moving with special discs on your feet to improve your outlook on life! Dancing with discs on your feet does require the right type for your flooring. The fabric ones are for hardwood or tile floors and the plastic ones are for carpet. Click on the link in this paragraph to see the difference. Or you can just use paper or plastic plates. I find the plastic ones work better and are a little sturdier on carpet. The paper ones work better on the smooth hardwood. You will see my friends using plastic plates on the carpet in the video, below. I had trouble with all types, including the commercial ones, on my rough hardwood deck, as you will see in the video. But I wanted to film outside in my favorite spot, so I do hope you enjoy the view, even if I stumble a bit! For indoors, the commercial ones really are better and they only cost around 15 USD as I write this. This small investment will bring you so much fun! Get your kids and grandkids some too and watch what fun Mom/Grandma can create with the kids, indoors when you want to unglue them from their electronic screens! Sliding on the floor with discs on your hands or feet, or both will bring out the kid in everyone! All my friends whom I have shown the exercises with discs, especially dancing, have been immediately attracted to it. There is something about them to which we are all drawn! I think it's about play and our inner desire to move just to have fun. Dancing and gliding on discs is very easy to learn. You don’t have to "know" any moves. Just place the ball of your feet on the discs and dance! There are no specific exercises to try, just have fun and slide your feet. I prefer using the discs with my bare feet, as I like the additional sensory input. You may prefer wearing sturdy work out shoes. Do whatever your heart desires. Sliding with discs may not give you blisters on your feet, like the quote above, but it will provide a way to release your inner angst. The metaphorical use of the term, "gliding" can be a marvelous way of thinking about releasing all your pent up emotions through dancing and sliding your feet! Moving your physical self creates physical joy and energy that can be transformed into positive energy to change your mental outlook and your spiritual condition. I am especially fond of dance as a way to express myself and move to the rhythm of my heart! If you put the discs on your feet and slide as you move, you can meditate on gliding through life. Blisters will not be a prerequisite for achievement if you are sliding your feet. The ease at which you move will take your body-mind-soul to a new level. As you dance and slide, say to yourself: "Life is a piece of cake!" "I glide with ease through all aspects of life!" "I see life again as a child and glide to the rhythm of my heart!" In the video below, I use discs as I dance with my friends. I had to take a carpet out on my deck to get the plastic plates to work. They didn’t do so well on the rough deck. The commercial plastic discs were a little rough too, but they worked. If you are on smooth, indoor hardwood, the fabric discs work great. May all your movements be full of fluidity, grace and ease. May your gliding discs be a tool to bring out your inner dancer. May this form of intuitive movement help you become unstuck and heal your body-mind-soul! Note: I also offer gliding exercises for your upper body, your core, your lower body and one especially for seniors. Truthfully, ALL these exercises work your core. That is the beauty of using gliding discs.